Yesterday was one of those days where I felt like I just couldn’t do anything right on my sewing machine. So after a few “fails”, I decided to work on a little idea with some embroidery thread. While I was doing that, I thought of this cute printable at Wild Olive I had seen a while back and figured they would be perfect for my huge ball of tangled up embroidery thread. Aren’t they the cutest little things? 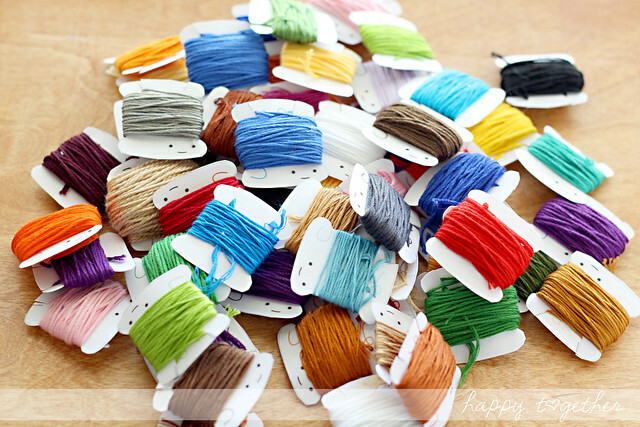 You just print it on card stock, cut them out, and wrap on your thread! You have been busy, and I can tell…those floss bobbins are happy to be helping! 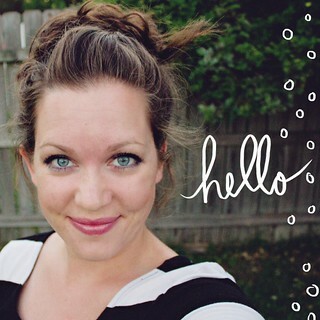 Thanks for the shout out, and have fun! Cute, Cute Cute. Thanks for the link. I am a cross-stitcher and have boxes of floss. DMC no longer sells the cardboard bobbins just the plastic ones. And then you have to buy the labels to go on them because you can’t write on them. Erks me. But I am going to be saving this link. I have that printable saved, too. It’s sooo cute. I feel weird, I have no tangled web of floss! I don’t envy you having to sort all that out! At least Mollie’s little cuties make it fun. 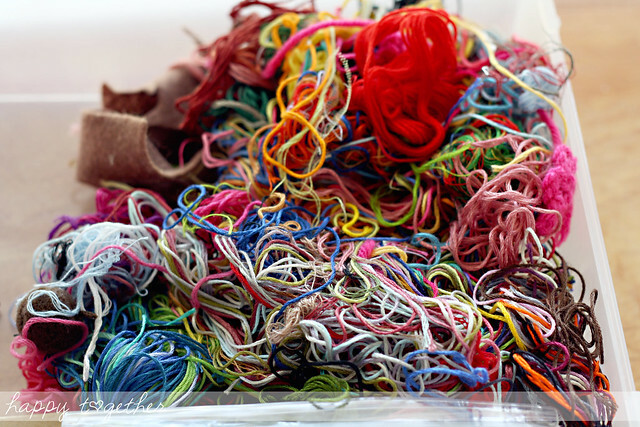 Your embroidery floss is looking very cheery now! 🙂 Have fun with it. 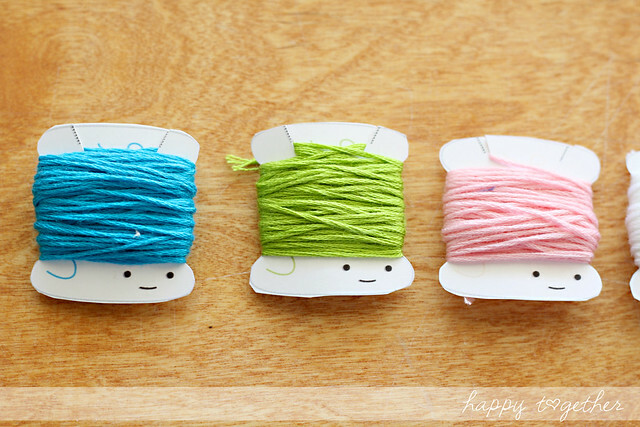 Might be less tedious just to draw the little faces on your existing floss cards…of course, I’m not a fan of cutting.